Purpose: A year dedicated to building from our collective knowledge and understanding of topics and issues related to Equity and Social Justice in Mathematics Education to taking action to make a difference. How might we, the mathematics education community, make a difference in the teaching and learning of mathematics “that promote rich, rigorous, and relevant mathematical experiences” for all students? What key actions should we consider? How does the reading further inform or challenge your understandings of issues related to equity and social justice in mathematics education? What question(s) do you have in regards to the reading(s)? The Impact of Identity in K-8 Mathematics. What are equitable instructional practices that support the development of students' mathematical identity and sense of agency? How can we advocate for the implementation of these practices? Excellence Through Equity: Five Principles of Courageous Leadership to Guide Achievement for Every Student (2016) by Alan M. Blankstein and Pedro Noguera Blanstein & Noguera (2016) talk about courage as the essential human virtue, and how courageous leadership is the “engine that drives the paradigm shift”. What are the five principles of courageous leadership to guide achievement for every student discussed by these authors? How does your organization’s vision reflect the five components of courageous leadership? What can we do together to make visible these components? How might teachers begin to teach mathematics for social justice? How might teacher educators begin to teach teachers how to teach mathematics for social justice? How might teaching mathematics for social justice "look like?" How can mathematics be re-envisioned as a means to create a more socially just world? Chao & Jones (2016). That’s not fair and why: Developing social justice activists in PreK. In J. Aguirre & M. Civil (Eds.) Teaching Excellence and Equity in Mathematics: Special issue on social justice. 7(1) 15-21. 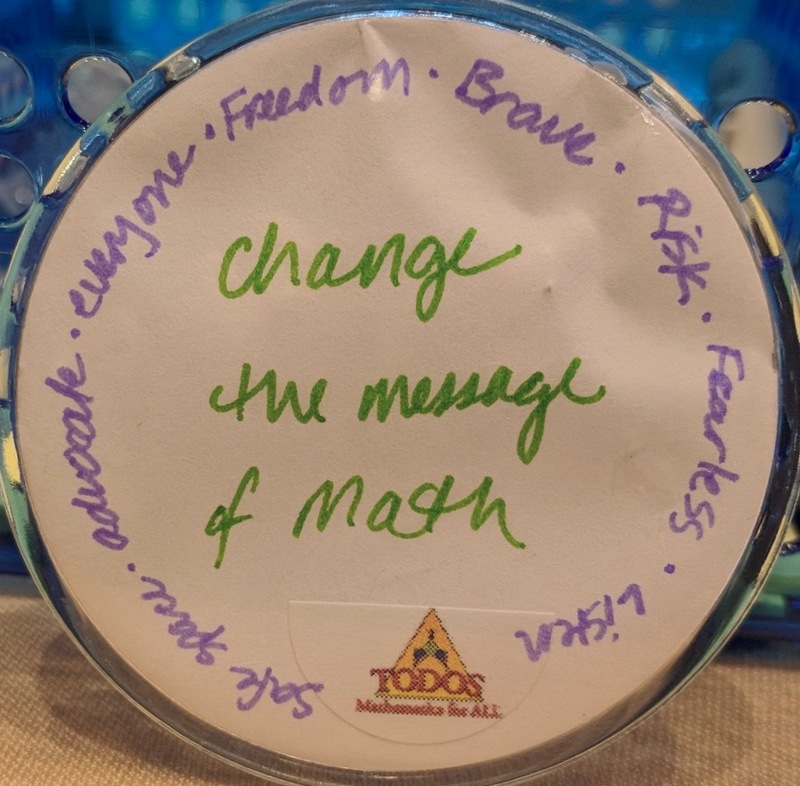 How do we change the paradigm of what mathematics is and how it should be learned from its current institutional form to one that utilizes the mathematics of people and their communities and ties mathematics to the world? Which of the examples of social justice and mathematics tasks enacted with students that were written about in this journal most resonates with you? Why? Commentary 1: Examining Interest Convergence and Identity: A Commentary on Foote’s Case, Robert Q. Berry III. Commentary 2: Supporting a Teacher’s Shift from Deficits to Funds of Knowledge: A Commentary on Foote’s Case, Maura Varley Gutiérrez. Commentary 3: A Commentary on Foote’s Case, Nora G. Ramírez. How would you support the teacher in addressing her negative views about the student and his mother? In what ways did the case and commentary authors’ suggestions help you think about the equity-related dilemmas you face in your own work? How might the larger mathematics education community achieve a both-and approach? How might the larger mathematics education community begin to respect the different perspectives of doing science employed when rigorously examining the critical issues of “diversity” and “equity” in mathematics education research? For White Folks Who Teach in the Hood... and the Rest of Y'all Too: Reality Pedagogy and Urban Education (2016) by Christopher Emdin. The author discusses different types of pedagogies grounded in the resources that communities can offer for teaching; The author introduces 7'Cs. What are ways teachers can gain access to community resources (human & material)? How can we make sense of this for mathematics teaching and learning?